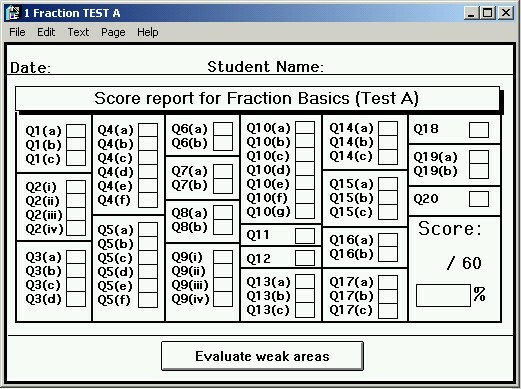 the results are graded instantly. On the Windows platform the results are stored on the included database. 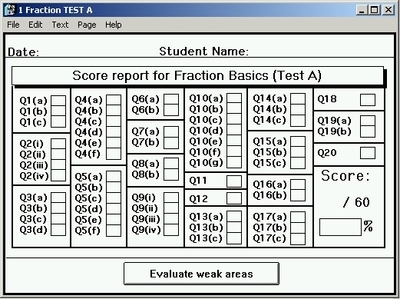 An evaluation screen appears indicating topics which require further study. The student may then return to the body of the program and re-learn the types of problems which were troublesome.